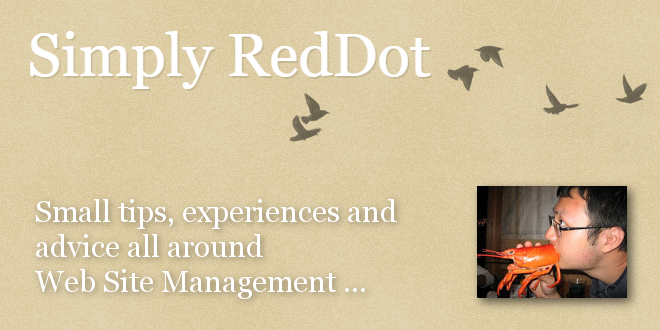 Simply RedDot: "HTML5 in Management Server 9, 10, and 11" - Open Text Web Solutions Usergroup e.V. Simply RedDot: "HTML5 in Management Server 9, 10, and 11"
Just want to share a proof of concept project (proof that Management Server supports HTML5) I did based on Smashingmagzine's HTML5. I wrote this project a few years back, when Management Server was still called CMS, to be more exact, CMS 9. It is recommended to use projects with HTML5 code after 10.1 SP2 HF18 (Build 10.1.2.391) because the Telerik/RadEditor text editor now also support HTML5 code and would not strip them out.